I want to live at The Village at Bluegrass. What do I need to do now? We are so excited that you have chosen The Village at Bluegrass as your home away from home! Securing your spot with us is as easy as visiting our website. Apply, pay your application fee, and sign your lease, all online from anywhere in the world! Be sure your have a copy of your driver's license or photo ID, and payment method to complete your application. You can also complete the lease signing process with a staff member by scheduling an appointment with our office, or simply walking in during our office hours. We will then complete all the necessary paperwork and go through the lease, which takes about 30 minutes. To sign in the office, bring your government-issued ID and a check for the signing fees. We will then complete all the necessary paperwork with you. Allow for about 30 minutes to go through the lease to fill out the forms. To sign online, click on the "Apply Now" tab featured on our website. After you submit your online application, we will contact you for additional information to send you the electronic lease. The rent installment includes the following utilities: cable, Internet, water, and trash. The apartments are fully furnished and include a TV in the Living Room. You will also have access to our amenities, free parking and bus shuttle. Residents are responsible for setting up the following utilities prior to move-in: Electric (Consumers Energy) and Gas (DTE). *School Year Leases from August-May are available for a limited time. Contact Leasing Office for current availability and pricing. We offer an exclusive Online Roommate Matching service so you can choose your own roommates! Each resident will complete a detailed roommate profile questionnaire (both in office and online). Payments can be made online with E-check, debit cards, and credit cards (Visa, Discover, Mastercard). We also accept checks or money orders in the office. Yes, there is a $25 application fee and a $150 activity fee. *Contact our Leasing Office for current move-in specials! We require every resident to either have a Guarantor or pay the last 1.5 Installments of rent within 14-days of signing. The Guarantor must be at least 25 years old and a resident of the United States. However, if a resident does not have a guarantor, he or she may pay the last one and a half installments of his or her lease prior to move in. This payment will go toward the final one and a half installments of the resident's lease. Yes, someone can take over your lease. There is a $500 fee. The new resident must come in and fill out the paperwork and be approved by management to successfully take over your lease. HD extended cable with HBO is included in each apartment. If you would like to upgrade your cable or add a DVR, you can do so by contacting Charter cable company and following their hassle-free and quick instructions. •Bedding – full-size sheets. Standard mattresses are provided on every bed. We recommend purchasing a mattress pad or topper if you need additional support. •Bathroom Accessories – Shower Curtain, Towels, etc. What appliances come with the apartment? Each apartment comes with a washer & dryer, fridge, dishwasher, garbage disposal, oven/stove-top, and microwave. The Village at Bluegrass offers an Ethernet outlet in each bedroom. Yes! We provide one parking permit per resident and it is FREE. 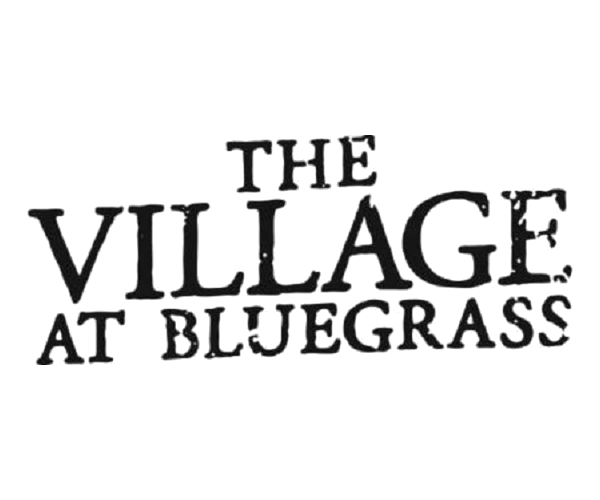 The Village at Bluegrass has 24-hour emergency maintenance. We will repair all broken appliances and provide replacements if necessary. Save money and time by riding a CMU campus bus. Download the bus schedule by clicking HERE. Cats and dogs are permitted with proper documentations, $250 non-refundable pet deposit and approval from management. All pets must be spayed/neutered, licensed and up-to-date on all required vaccinations. Cats must have front paws declawed. One pet per person and up to two pets per apartment. Pet rent is an additional $25/installment. We allow pets. Please contact our sales office for more information.